Absorbed in grandiose, magnificent temples, may travelers forget that Cambodia is also home to a mass of enthralling islands. Positioned between Koh Kong and Sihanoukville islands, Koh Sdach is the anchoring place of many boats. Reach it, apart from sea bathing, searching out culture and lifestyle of the local fishermen residing in small villages will make the trip more interesting. If you want to find a secluded, gorgeous beaches, yes, it has, a lot. 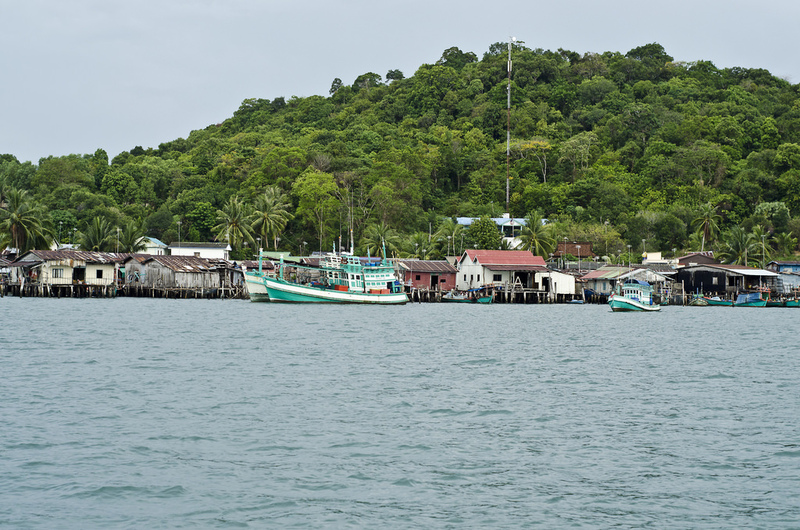 Now the island is developed tourism by a Malaysian company with a rental agreement for 99 years. Perhaps Koh Ta Kiev are the last place that it’s possible to see an absinthe bar. It earn a good reputation thanks to one-man operation named Syn Absinthe, who makes types of hand-crafted, small-batch absinthe. 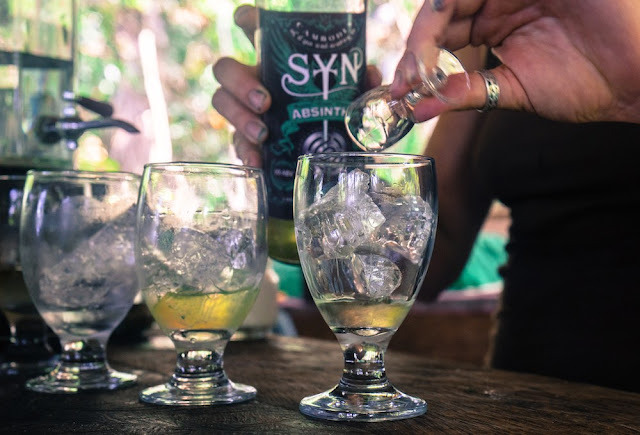 Aside from joining a distillery tour that embraces the whole process, guests can have fun by frolicking in blue sea, sun-burnt lying on quiet beaches and playing coconut bowling. In fact, it consists of two private small islands, and is oriented to be a sweet, deluxe honeymoon site for couples. Song Saa means “sweethearts” in Khmer tongue. Its villa prices can rocket to $3,000 per night, and the services are high-quality, from the transfers from shore, a bottle of champagne at check-in included in the price, gourmet meals made from natively-sourced foods, to the well-stocked mini-bar and free international calls from the villas. Song Saa even features a 50,000-square-meter marine reserve around the two island. To get there, take a boat or a helicopter flight. 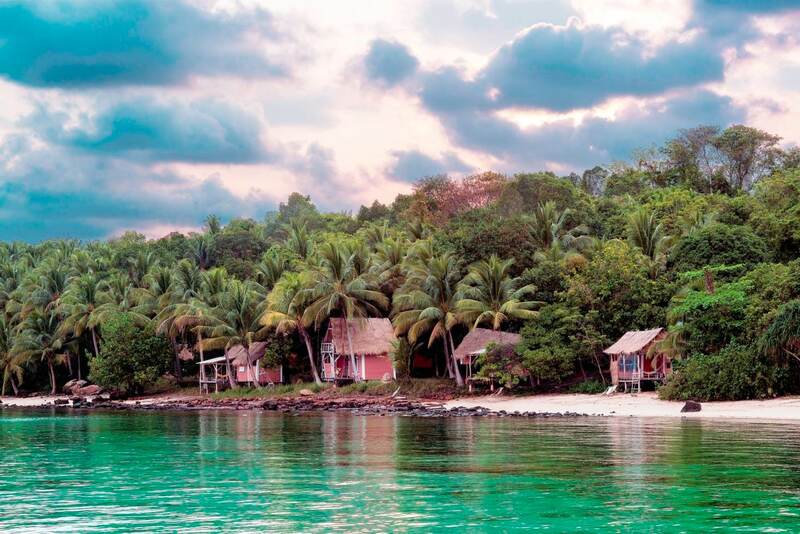 Known as the most beautiful island in Cambodia, Koh Rong Sanloem has long been a top-choice of expats in Phnom Penh, who head to the quiet island for weekends. It’s sited 2 boating hours from the mainland, and features a fishing village, three major coasts and many minor others. This is a point of Koh Rong Sanloem: Saracen Bay - a heart-shaped inlet with calm turquoise surf and clean white sand beaches. Not many things to do on the island. Days can be spent to paddle-board, snorkel, or daydream on a good book under a palm tree. 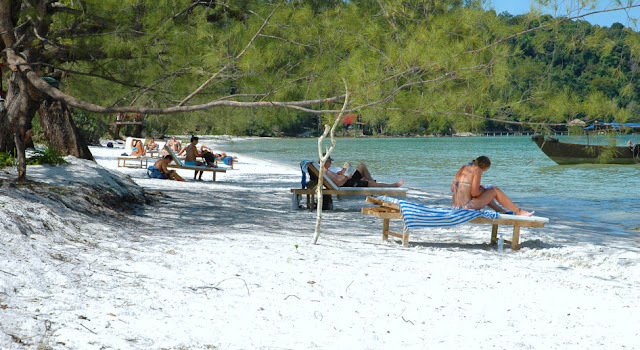 Koh Rong - Cambodia’s second largest island has fabulous sea with white sand and warm, clear water. 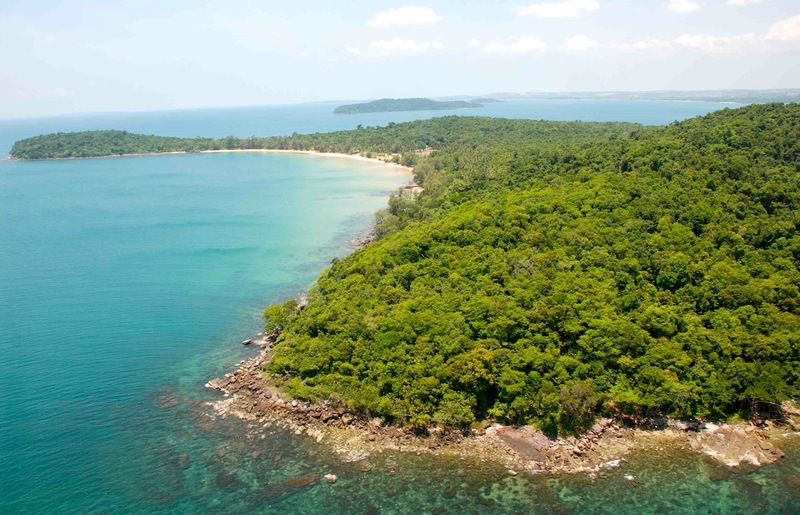 In spite of the most famous island in Cambodia, it remains astonishingly pristine. Not too long ago Koh Rong’s sole tourist amenities were a handful of bungalows beside miles of dense jungles and stunning white sand beaches. There is still amazing hiking and trekking in the parts of jungles that loggers haven’t been destroyed. Besides, the island is also a great spot for sun-burnt travelers, who like to bake in day and get toasted at night. Koh Rong’s business owners are notoriously party-friendly, who are ready to run generators to keep the music going until the wee hours, and supply live DJs and free-beer happy hours. 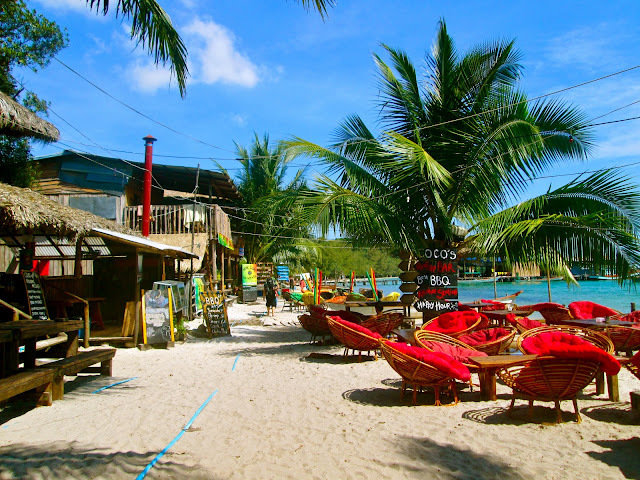 Located roughly 5 boating hours from the mainland, Koh Tang is well-known for its marvelous coral reefs on the sea-bed. 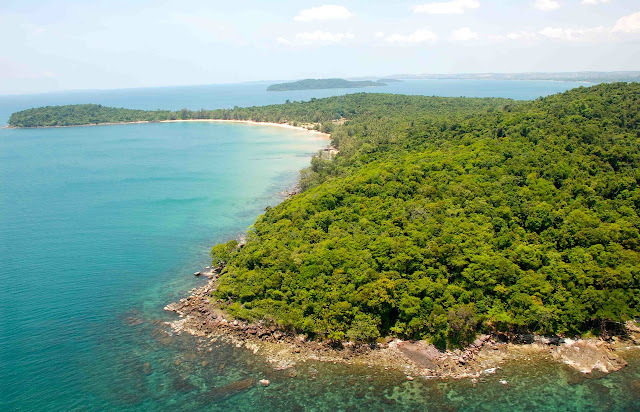 This island is unpopulated now except only a small outpost of Cambodian military personnel, causing clear-crystal water with excellent visibility and undisturbed marine life, making it and nearby Koh Prins the perfect islands for diving. 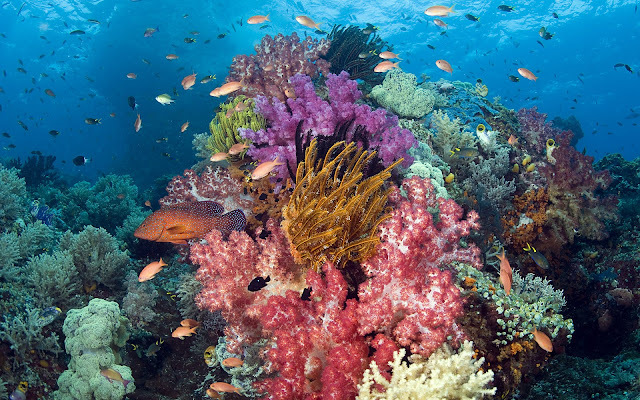 There are eight diving sites around the island that offer colorful coral reefs and a wealth of underwater creatures comprising fantastic hued nudibranchs, toxic puffer fish and dazzling stingrays with electric blue spots. Settled inside Ream national park, Koh Thmei is home to various animals and plants, including monkeys, civets, mountain lizards, over 100 distinct species of birds, and several endangered species like the fishing cat, a wetland feline that inhabits near streams and mangrove forests. Koh Thmei resort is the sole accommodation on this island, which covers a block of rustic, environmentally-friendly solar-powered bungalows. 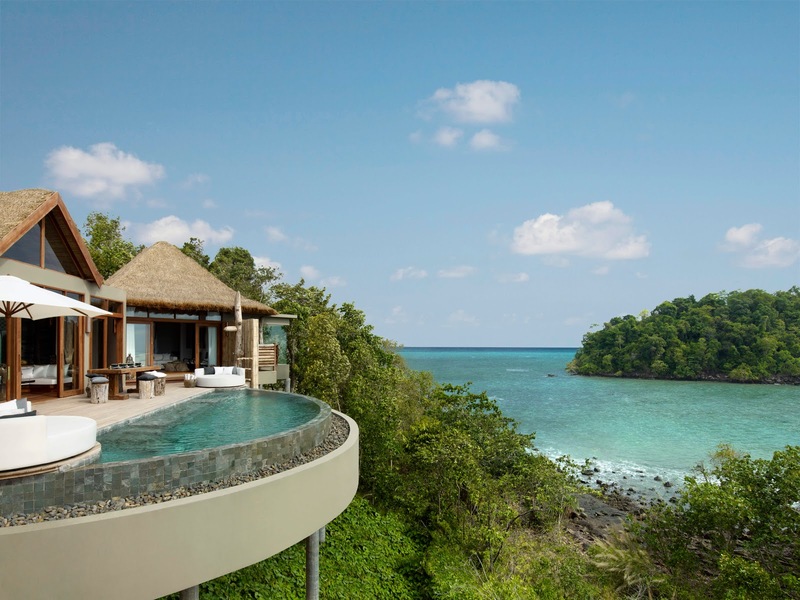 Guests can jungle trek, sea kayak, snorkel and bird watch. The resort is even raising ponies that children can ride. There are close deserted beaches to amble with occasional views of dolphins swimming along the shore. It is a wonderful island to completely disconnect from the regular life and escape from botheration of work-emails and social networks. Yep, no Internet on Koh Totang. This charming island has only a place to stay, Nomad's Land, a range of five solar-powered bungalows lack of noisy generators. Rainwater is saved from showers, and produce is grown in a permaculture garden. The simplest thing to do is lying in a swaying hammock, enjoying the view, and provisionally expel all thought of life at home. Contact to ActiveTravel Asia at here to held your own sea adventure in charming, untouched islands in Cambodia.